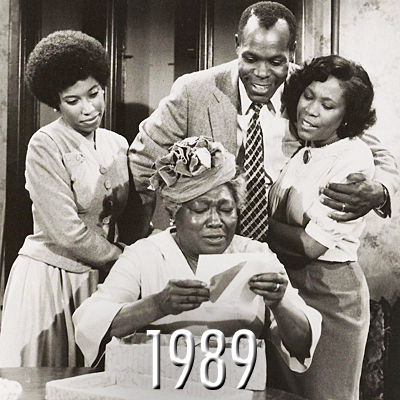 In 1989, A Raisin in the Sun, was adapted into a movie starring Danny Glover, the profound African American actor, well known and respected for his various roles in films including The Color Purple, and Esther Rolle, who is best known for her role as Florida Evans on the CBS sitcom Good Times. 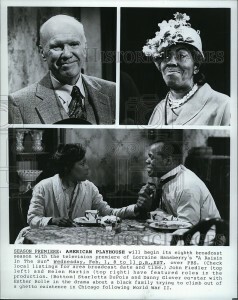 This production, based on an Off-Broadway revival, received three Emmy Award nominations; all of which were for technical categories. 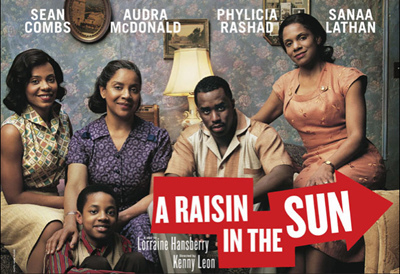 In 2004, A Raisin in the Sun was revived for the first and only time on Broadway at the Royal Theatre. This version of Lorraine Hansberry’s play had a cast consisting of prominent African-American actors and figures such as Sean Combs, Audra McDonald, Phylicia Rashad, and Sanaa Lathan. It ran at the Royale Theatre for 31 previews and 89 performances. 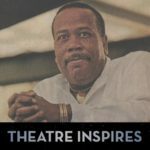 McDonald and Rashad both won the Tony Award and Drama Desk Award for their performances, and Lathan was honored with the prestigious Theatre World Award. 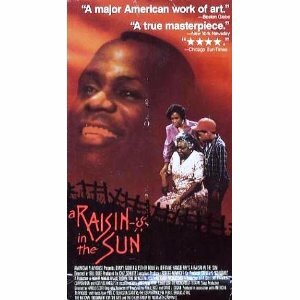 ”Raisin in the Sun” depicts Walter Lee’s belated emergence into manhood. And in his opening scene — as he pouts and teases with his wife, Ruth (Ms. McDonald) — Mr. Combs’s Walter evokes a man who in his 30’s is still marooned in early adolescence. You might even mistake this Walter for the older brother of Travis (Alexander Mitchell), the little boy who is in fact his son. Clearly, Mr. Combs has left lots of space for Walter to grow. Unfortunately, that space is never filled. This omission makes the revival a lopsided and ultimately dreary affair. Though the production features sterling work from Ms. McDonald and Ms. Rashad, who plays Walter Lee’s formidable mother, it lacks the fully developed central performance from Mr. Combs that would hold the show together. This Walter Lee never appears to change, in big ways or small. Happy or sad, drunk or sober, angry or placating, his evenly measured words and debating team captain’s gestures remain pretty much the same. This is a significant problem, since Walter Lee is meant to represent a new generational spirit among African-Americans in a time of social transition. And neither Mr. Combs nor the exceptionally pretty Sanaa Lathan — as Walter Lee’s ambitious sister, Beneatha, who is studying to be a doctor — makes an argument for this generation as one to pin your hopes on. From beginning to end, they register as petulant, spoiled overgrown children with none of the complexity of the maternal figures played by Ms. McDonald and Ms. Rashad. 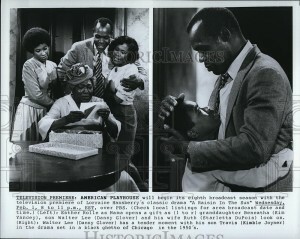 This ”Raisin” is all about the kids versus the grown-ups, and not in the sense that Hansberry meant it. Instead of contrasting the forces of conservative, God-fearing womanhood with a fresh revolutionary spirit, the show becomes an ungainly counterpoint of mature and callow acting styles. Then there’s Combs, a music star who has appeared in a couple of movies but has no real stage experience. It shows. He has a tendency to act by protruding his lips, but seldom does much with the rest of his face, body, or voice. More importantly, he doesn’t have a firm grasp on Walter’s dreams; a major part of the plot concerns Walter’s desire to buy a liquor store, but his emotional state doesn’t seem to change whether he just desires it, sees the opportunity slip away, or experiences the final result of his attempts. The rest of Walter’s major moments receive similarly ineffective treatment. It can’t be easy for Combs to share the stage with his three extraordinary co-stars, and he deserves a great amount of respect for being willing to take on such a challenging role. But Combs’s work is so unconvincing and his Walter so unspecific, he seems like a bystander rather than active participant in the action. During his scenes with Lathan, McDonald, and Rashad, he looks and sounds completely out of his element.